The weather here was gorgeous today. Everywhere you looked, jackets were undone, hats and mittens were discarded, and winter boots were replaced with summer shoes. In some ways it makes me sad to see winter go and with it the sheepy goodness of warm woolly layers and the beauty of fresh snow. On the other hand the warmer weather means balmy afternoons on patios, summer cottons and silks, and the start of Toronto's best outdoor festivals. The change in the weather has also inspired me to pick up a project that was cast aside when the cold took over the city back in November. 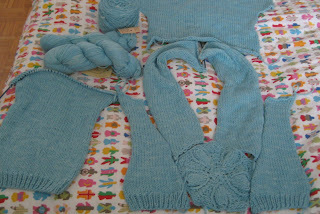 This is the beginning of the Sand Dollar Pullover from Norah Gaughan's amazingly inspiring book, Knitting Nature. This is my first project from the book, but I have the yarn for at least three others when I finally get around to working on them. 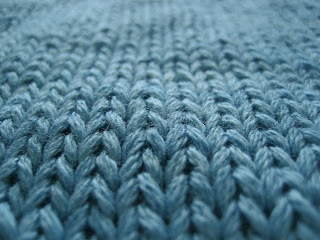 I'm using Posh Yarn's Victoria which is a cotton/silk/cashmere blend in a colour called Lagoon (and is pretty accurate in the photo below). 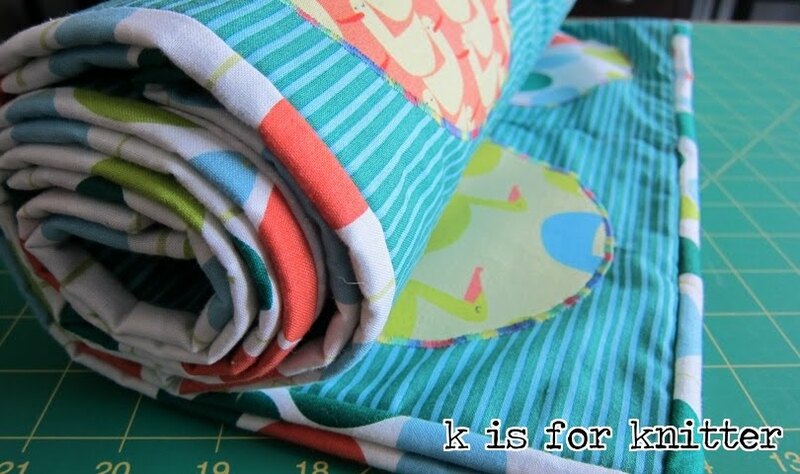 It is a bit splitty but is a dream to work with and blocks beautifully. So far, I've made it through all of the pieces for the front and back, and am now working to finish the sleeves so I can block all the pieces and start seaming it up. I'm hoping to finish the sleeves in the next couple of weeks so I can get some wear out of this during the summer (if I can bring myself to get the seaming done). 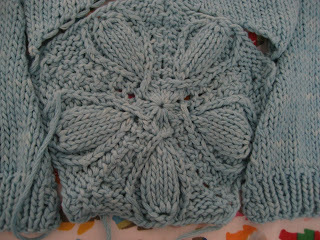 Here's a close-up of the sand dollar part of the sweater. 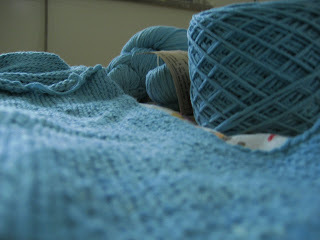 I've had to re-knit it three times so far and I'm still not positive that I'm happy with the way that it has turned out. I do love the way the leaf points meet to form a pentagon in the center. The construction of this garment is really stunning. In other news, the postman finally brought a long awaited parcel that I can't wait to share with you...next time. Posted by Amanda at 8:30 p.m.